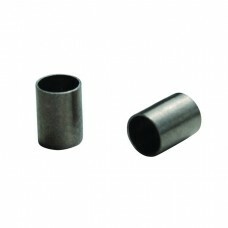 211904100% graphite ferrule; upper temperature limit 450°C. Soft; graphite is recommended for use with fused silica and glass. Reusable if not overtightened. 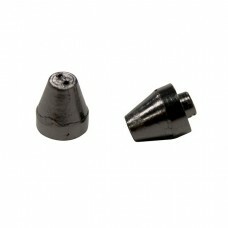 One piece design requires no back ferrule. Packaged: 3" x 3" x 1/4" Plastic Dial Pack; Weight 7.25 g LIÊN HỆ:Email: info.esteco@gmail.comĐiện thoại: +84 979 987 250..
211906100% graphite ferrule; upper temperature limit 450 deg. C. Soft; graphite is recommended for use with fused silica and glass. Reusable if not overtightened. 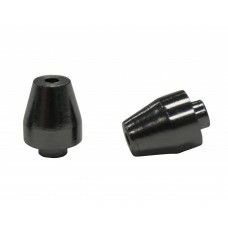 One piece design requires no back ferrule. Packaged: 3 in. x 3 in. x 1/4 in. Plastic Dial Pack; Weight: 8.5 g LIÊN HỆ:Email: info.esteco@gmail.comĐiện thoại: +84 979 987 250..
211908100% graphite ferrule; upper temperature limit 450 deg. C. Soft; graphite is recommended for use with fused silica and glass. Reusable if not overtightened. One piece design requires no back ferrule. Packaged: 3 in. x 3 in. x 1/4 in. Plastic Dial Pack; Weight: 8.5 gLIÊN HỆ:Email: info.esteco@gmail.comĐiện thoại: +84 979 987 250..
211104100% graphite ferrule; upper temperature limit 450 deg. C. Soft; graphite is recommended for use with fused silica and glass. Reusable if not overtightened. For use with standard 1/16 in. Swagelok / Parker type fittings. 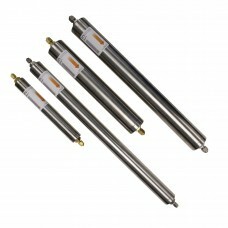 0.4 mm ID fits 0.25 mm ID capillary fused silica columns. 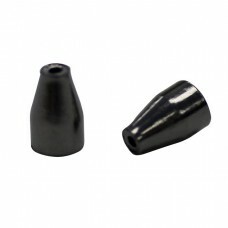 One piece design requires no back ferrule. Packaged: 3 in. x 3 n. x 1/4 in. Plastic Dial Pack; Weight: 8.5 gLIÊN HỆ:Email: info.esteco@gmail.comĐiện thoại: +84 979 987 250..
211164100% graphite ferrule; upper temperature limit 450 deg. 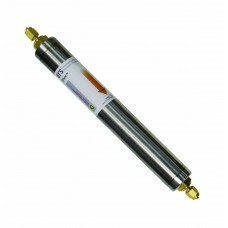 C. Special short style for Agilent inlet systems. Soft graphite is recommended for use with fused silica and glass. Reusable if not overtightened. 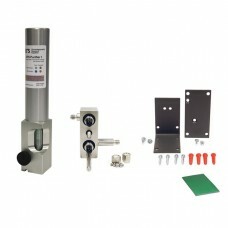 0.4 mm ID fits capillary columns with IDs 250 ul and smaller. Packaged: 3 in. x 3 in. x 1/4 in. Plastic Dial Pack; Weight: 8.5 gLIÊN HỆ:Email: info.esteco@gmail.comĐiện thoại: +84 979 987 250..
211105100% graphite ferrule; upper temperature limit 450 deg. C. Soft; graphite is recommended for use with fused silica and glass. Reusable if not overtightened. For use with standard 1/16 in. Swagelok / Parker type fittings. 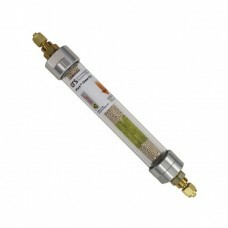 0.5 mm ID fits 0.32 mm ID capillary fused silica columns. 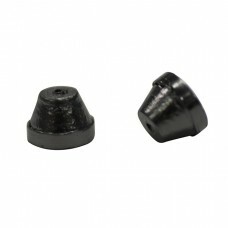 One piece design requires no back ferrule. Packaged: 3 in. x 3 in. x 1/4 in. Plastic Dial Pack; Weight: 8.5 gLIÊN HỆ:Email: info.esteco@gmail.comĐiện thoại: +84 979 987 250..
211165100% graphite ferrule; upper temperature limit 450 deg. 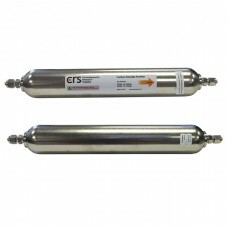 CSpecial short style for Agilent inlet systems. Soft graphite is recommended for use with fused silica and glass. Reusable if not overtightened. 0.5 mm ID fits 0.32 mm ID capillary columns. Packaged: 3 in. x 3 in. x 1/4 in. Plastic Dial Pack; Weight: 5.67 gLIÊN HỆ:Email: info.esteco@gmail.comĐiện thoại: +84 979 987 250..
211108100% graphite ferrule; upper temperature limit 450 deg. C. Soft; graphite is recommended for use with fused silica and glass. Reusable if not overtightened. For use with standard 1/16 in. Swagelok / Parker type fittings. 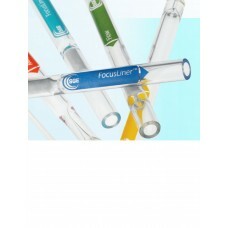 0.8 mm ID fits 0.53 mm ID capillary columns. 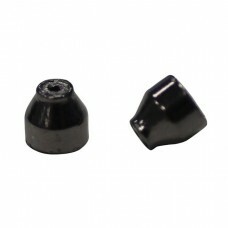 One piece design requires no back ferrule. Packaged: 3 in. x 3 in. x 1/4 in. Plastic Dial Pack; Weight: 8.5 gLIÊN HỆ:Email: info.esteco@gmail.comĐiện thoại: +84 979 987 250..
211222100% graphite ferrule; upper temperature limit 450 deg. C. Soft; graphite is recommended for use with fused silica and glass. Reusable if not overtightened. For use with standard 1/8 in. Swagelok / Parker type fittings. 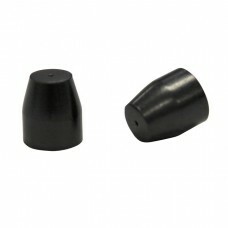 One piece design requires no back ferrule. Packaged: 2-3/8 in. x 1-1/4 in. x 1/2 in. Plastic Hinged Box; Weight: 6.7 g LIÊN HỆ:Email: info.esteco@gmail.comĐiện thoại: +84 979 987 250..
2152041/8" Ferrule 0.4 mm ID 85% Vespel / 15% Graphite (10/pk)This product is used for MSD transferline of AgilentLIEN HỆ:Email: info.esteco@gmail.comĐiện thoại: +84 979 987 250..
215205 1/8" Ferrule 0.5 mm ID 85% Vespel / 15% Graphite (10/pk) This product used for MSD transferline of Agilent LIÊN HỆ:Email: info.esteco@gmail.comĐiện thoại: +84 979 987 250..
211210100% graphite ferrule; upper temperature limit 450 deg. C. Soft; graphite is recommended for use with fused silica and glass. Reusable if not overtightened. For use with standard 1/8 in. Swagelok / Parker type fittings. 1/16 in. ID fits over 1/16 in. OD tubing. Packaged: 2-3/8 in. x 1-1/4 in. x 1/2 in. Plastic Hinged Box; Weight: 8.5 gLIÊN HỆ:Email: info.esteco@gmail.comĐiện thoại: +84 979 987 250..
092002014.0mm ID Split / Splitless FocusLinerLIÊN HỆ:Email: info.esteco@gmail.comĐiện thoại: +84 979 987 250..
211982-10100% graphite ferrule encased in metal cup; upper temperature limit 450 deg. C. Graphite is very soft; it is recommended for use with fused silica and glass. Reusable if not overtightened. Packaged: 3 in. x 3 in. x 1/4 in. Plastic Dial Pack; Weight: 8.5 gLIÊN HỆ:Email: info.esteco@gmail.comĐiện thoại: +84 979 987 250..
211983-10100% graphite ferrule encased in metal cup; upper temperature limit 450 deg. C. Graphite is very soft; it is recommended for use with fused silica and glass. Reusable if not overtightened. Packaged: 3 in. x 3 in. x 1/4 in. Plastic Dial Pack; Weight: 8.5 gLIÊN HỆ:Email: info.esteco@gmail.comĐiện thoại: +84 979 987 250..
211984-10100% graphite ferrule encased in metal cup; upper temperature limit 450 deg. C. Graphite is very soft; it is recommended for use with fused silica and glass. Reusable if not overtightened. Packaged: 3 in. x 3 in. x 1/4 in. 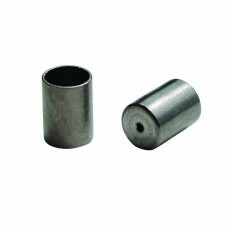 Plastic Dial Pack; Weight: 8.5 g LIÊN HỆ:Email: info.esteco@gmail.comĐiện thoại: +84 979 987 250..
211988-10100% graphite ferrule encased in metal cup; upper temperature limit 450 deg. C. Graphite is very soft; it is recommended for use with fused silica and glass. Reusable if not overtightened. Packaged: 3 in. x 3 in. x 1/4 in. Plastic Dial Pack; Weight: 8.5 gLIÊN HỆ:Email: info.esteco@gmail.comĐiện thoại: +84 979 987 250..